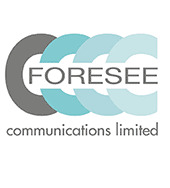 We promote the "gentle art of fundraising"
Welcome to Foresee Communications — leading fundraising training organisation with 25 years experience in training all levels of fundraisers, in all types of fundraising. We provide training, coaching, and mentoring to help you find the resources you need to save the world. If you want to raise the most possible money for your cause, then we have the tools to help you achieve it. We'll teach you how to be more efficient about your fundraising, to quickly learn more about what truly works, hear about ideas that can make your fundraising sustainable, and find people who are interested in your work. To do this we provide resources, share experiences, case studies and practical examples. We also host regular professional development and training programmes. For us, fundraising is a gentle art. It's not necessarily about the money, it's the important work that needs to be achieved. Come along ot the second iteration of this hugely successful event, held in March 2019. Round two will explore additional charity/non profit issues such as change management, using technology for efficiency, building resilience, sustainability,creativity, risks around proposed changes to charity legislation. Bring along your trustees to hear about the issues they ought to be focusing on. The two-part, four-day workshop is being offered by Foresee Communications. Each of the two-day, face-to-face workshops will allow time for networking, sharing and questioning. "Learn how an understanding of the theory will help you to grow a fundraising culture in your organisation". Earn CFRE credits by attending Pathway to Fundraising Excellence Do NOT follow this link or you will be banned from the site! Original generation time 1.5385 seconds. Cache Loaded in: 0.0006 seconds.